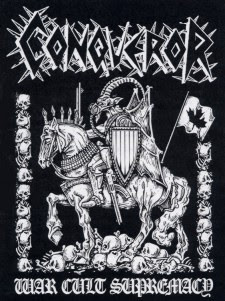 Conqueror formed way back in 1992 and featured J. 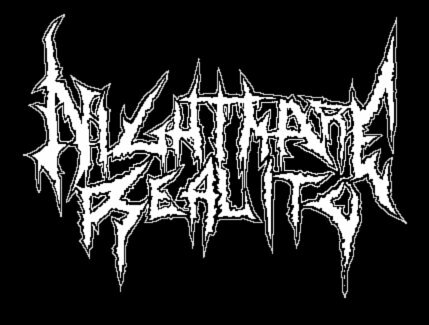 Read (Blood Revolt, Revenge, Black Witchery, Axis of Advance, Cremation, Kerasphorus, Arkhon Infaustus) on drums and vocals and R. Förster (Blasphemy, Domini Inferi, Revenge, Godless North) on the axe. They played the most unrelenting war metal ever recorded. Constant blast beats, insane vocals that make your average black metal vocalist sound like Madonna and extremely fast distorted riffs all over the place are what to expect here, although it’s best to go into a release like this with no expectations, because whatever you’re expecting will be wrong. In all honesty, this is the most savage album I have ever laid ears on. Most people who listen to “War. Cult. Supremacy.” will hear nothing but mush and noise, but the ones who actually “get it” will hear complete, utter primitivism and barbarity. This release is an audio war against humanity. No one is safe. I have no other words for this. Get your hands on this any way you can and prepare to have your perspective on “music” changed forever.